While long-term writers Jeff Lemire and Gregg Hurwitz announced the end of their DC titles Animal Man and Batman: The Dark Knight on their own terms yesterday, word of a third cancellation set for March--Talon, by writer Tim Seeley and artist Jorge Lucas--came the traditional way: through the company's solicitation material. 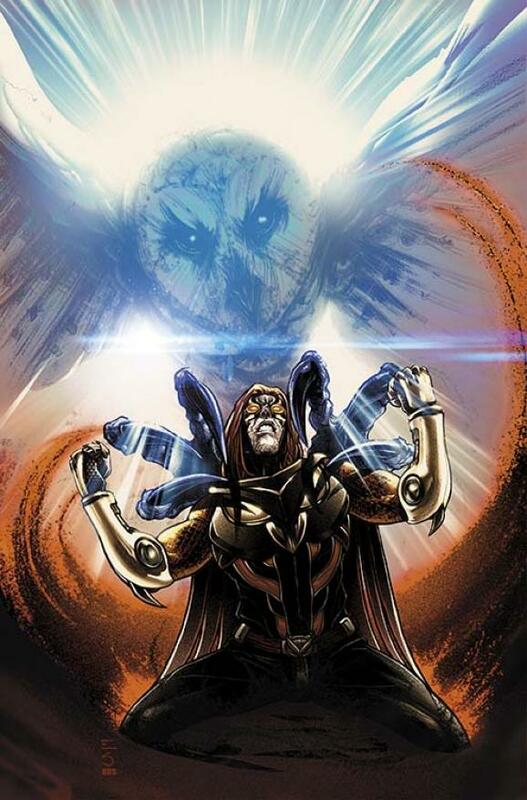 The series, which spun out of the best-selling first two arcs of Scott Snyder and Greg Capullo's Batman, has been considered to be on the chopping block once James Tynion IV mentioned using Talon as one of the characters in Batman: Eternal, the new weekly series starting in the spring. Tynion was the writer for most of Talon's run. You can check out the final solicitation copy below (and cover at left).